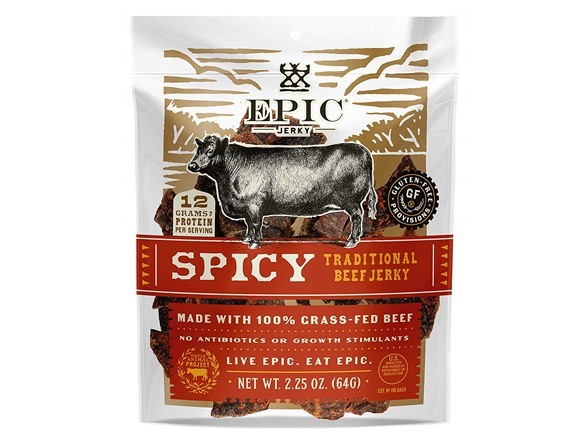 EPIC Spicy Beef Jerky: What makes EPIC beef jerky special starts with a foundational commitment to sourcing only 100% pasture raised, Grass Fed Beef. Our Spicy Beef Jerky is thoughtfully crafted with pure ingredients that are not only flavorful, but uniquely simple and powerful. We experimented with hundreds of spice combinations to land one one that produces an ideal balance of fire and flavor, a flavor forward experience we deem EPIC!